Iran, Sept. 6, 2018 - Marking the 53rd founding anniversary of the Iranian opposition People's Mojahedin Organization of Iran (PMOI/MEK), resistance units in a variety of cities were seen putting up posters of PMOI/MEK founders and Iranian Resistance leader Massoud Rajavi, and various placards and banners in cities throughout the country. Resistance unit members in Semnan paid their respects to the Mojahedin founders and the PMOI/MEK symbol. “The world should know, Massoud is our leader; the National Liberation Army is our final response,” they chanted. Members of the Resistance Unit 353 in Khuzistan Province showed their commemoration by symbolically placing flowers before a PMOI/MEK symbol and pledging their vow to continue their efforts to overthrow the mullahs’ regime and returning freedom to the Iranian people. Resistance unit members in the city of Sari held placards containing images of the PMOI/MEK symbol and a text expressing their congratulations on this day of the 53rd anniversary. A resistance unit in Tehran was seen raising a placard of the PMOI/MEK symbol and the image of Massoud Rajavi, committing to devote their all for overthrowing the mullahs’ regime. In Zahedan, a number of Resistance Unit 222 raised a placard while riding their motorcycles and expressing their best wishes for the PMOI/MEK on this 53rd founding anniversary. Members of a resistance unit in Kerman also rode their motorcycle in broad daylight while raising a PMOI/MEK symbol. This is quite dangerous and if seen by security forces they would certainly be arrested. Members of Resistance Unit 412 in Tehran held a placard containing a message on the 53rd PMOI/MEK founding anniversary and an image of Iranian Resistance leader Massoud Rajavi. In Behbahan, members of the Resistance Unit 739 congratulated the Iranian people on this day. They held posters of the PMOI/MEK symbol and images of Massoud Rajavi. Members of Resistance Unit 640 in Tehran paid their respects to a poster of Massoud Rajavi and the PMOI/MEK symbol, and expressed their readiness for any mission and command. In Khorramabad, members of a resistance unit held posters of the Mujahedin posters and images of Massoud Rajavi, emphasizing the world should know he is their leader. In Izeh, members of a resistance unit in this city held various placards hailing the PMOI/MEK founders and Massoud Rajavi in their message on the 53rd founding anniversary of this grass-rooted organization.  In Karaj, members of a resistance unit raised the PMOI/MEK symbol and paid their respects to this sign of resistance. In Kerman, a group of Resistance Unit 600 raised a placard expressing their devotion to continue their efforts aimed at overthrowing the mullahs’ regime. In Hamedan, members of Resistance Unit 909 held a placard of Massoud Rajavi & the PMOI/MEK symbol, congratulating this organization on its 53rd founding anniversary. Resistance unit members in Mashhad prepared a cake for the 53rd PMOI/MEK founding anniversary and playing patriotic songs. In Gilan, members of a resistance unit sent a message saying Iran’s youth are rising and continuing the paths of PMOI/MEK founders and members to bring this regime to its knees.